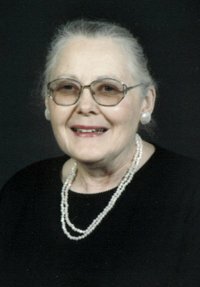 Grace M. Rosplock, 80, of the town of Scott, passed away on Monday, July 22, 2013, at Zilber Family Hospice in Wauwatosa, with her family at her side. She was born on April 21, 1933, in Milwaukee, the daughter of the late Philip and Catherine (Smulka) Krieger, and on October 12, 1957, she was united in marriage to Max Rosplock at St. Rita's Catholic Church in West Allis. Grace received her nursing degree from St. Mary's School of Nursing Milwaukee and over the years provided her nursing skills to patients at St. Mary's Hospital and the Clement J. Zablocki VA Hospital both in Milwaukee, Luther Manor in Wauwatosa and Beechwood Rest Home in Beechwood. Later she was a faithful volunteer to the residents of Beechwood Rest Home. She was a member of Holy Trinity Catholic Church in Kewaskum and St. Matthias Catholic Chapel in the town of Auburn. Grace served as the sacristan for many years at St. Matthias. Grace enjoyed gardening, reading, crocheting, sewing, cooking, baking and spending time with her family and grandchildren. She was a faithful letter writer and remembered many in her daily prayers. Grace touched the lives of many and will be deeply missed by her husband, her family and by all who knew her. Those Grace leaves behind to cherish her memory include her loving husband Max of 55 years; two daughters, Linda (Mark) Enright of Kewaskum and Jane (Robert) Foeckler of Eau Claire; five grandchildren, Nicole (Todd) Krahn, Daniel Enright, Patrick Enright, Lauren Foeckler and Jacob Foeckler; a great-granddaughter Emalea Enright; two sisters, Kathleen Krieger of Wauwatosa and Sharon Fullington of Gilman; two god-daughters, Ruth Mary Lange and Patricia Ann Knudtson, many other relatives and friends. In addition to her parents, Grace was preceded in death by an infant son, Stephen; an infant sister, Dolores and a brother-in-law, Jim Fullington. A Mass of Christian Burial for Grace was held at 6:00 p.m. on Thursday, July 25, 2013, at Holy Trinity Catholic Church in Kewaskum with Fr. Edwin Kornath officiating. Burial was in St. Matthias Catholic Cemetery in the town of Auburn. The Rosplock family greeted relatives and friends at the church on Thursday from 3:00 p.m. until the time of Mass. The Miller Funeral Home in Kewaskum was entrusted with Grace's arrangements.